It's hard to think of cardboard as a suitable building material, but it can be remarkably strong. 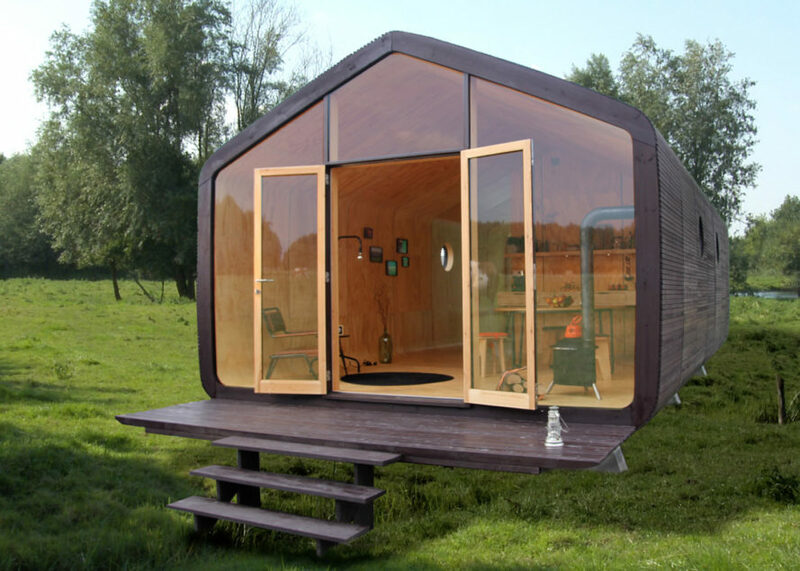 Fiction Factory in the Netherlands designed a sturdy modular home or office comprised of 1,100-pound tube-shaped sections, swathed in 24 layers of cardboard, that snap together. 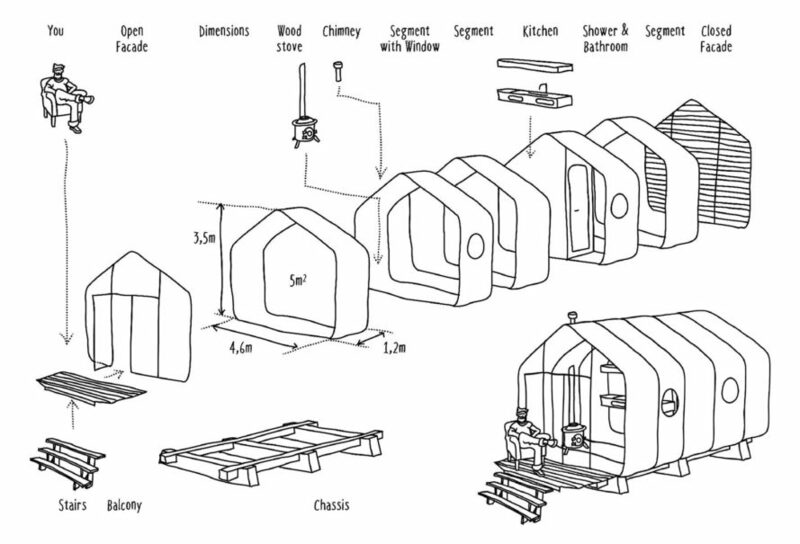 With no foundation required, the Wikkelhouse, or Wrap House, can be assembled in a single day. 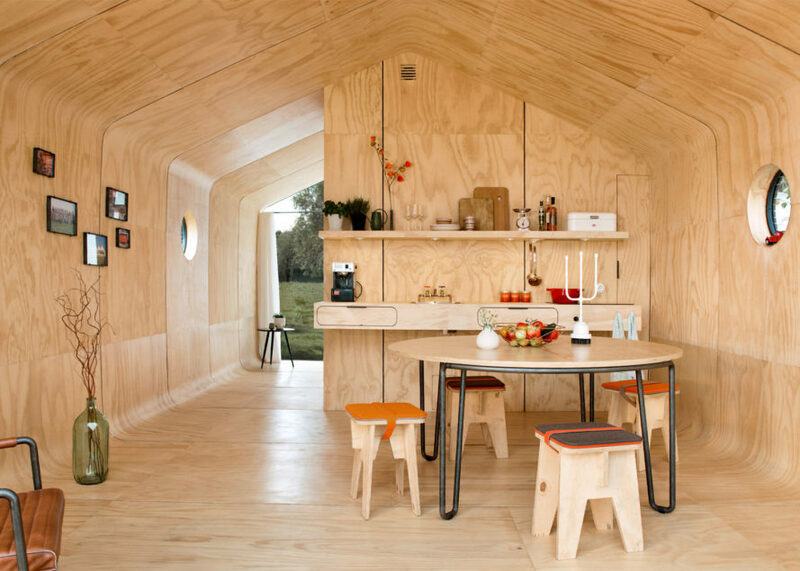 While your cardboard boxes at home may wither in the presence of water, Wikkelhouse’s layers are covered in a protective, waterproof film and then finished with wooden cladding to ensure its ability to stand up to the elements. And despite the absence of a foundation, it is said to be windproof as well. The studio claims their design is 3x more eco-friendly than conventional housing. This can be attributed in part to its minimum 50-year lifespan, superior insulation – which reduces the amount of energy required to heat or cool the interior – and the fact that it is 100 percent recyclable. After purchasing an airframe, users can snap together as many of the four-foot sections as they like, including parts that make up the kitchen, shower and bathroom. The end pieces can be either glazed or opaque. The studio told Dezeen the design is appropriate for both temporary and permanent housing and can be easily relocated if necessary. The home has been so popular, there is currently a waiting list to buy one. Fiction Factory only produces 12 homes a year to maintain optimum quality control. The Wikkelhouse is comprised of modular segments that snap together. Kitchen, shower and bathroom segments can be added as needed. Fiction Factory claims their design has superior insulation properties. With glazed end pieces, the Wikkelhouse has plenty of natural light. Each segment is composed of 24 layers of cardboard glued together with an 'eco-friendly' product and finished with waterproofing and wooden cladding. This diagram demonstrates how the various pieces slot together.